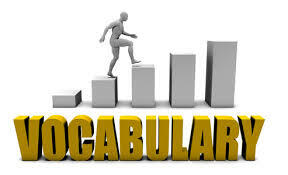 Free download Trick to learn some vocabulary. Acme sounds like the beauty product Lakme. Lakme is the most excellent(Acme) beauty product. Accost sounds like A cost. At a cost of Heroine life, hero approached villain and asked him to release his heroine in threatening way. Adulation sounds like Education. Most of the students adulate(unnecessary admiration and praise) teachers for better education: "sir you are great , sire you are best, you are my best teacher etc...... "
So always remember Adulation for better Education. Bard sounds like ward. A new ward( a person under another custody) is very good bard and he keeps writing poem. Bait sounds like cricket Bat, so cricket Bat and ball is used to catch(bait) some cricket players on the ground. "Hey boys ! I have a bat, who wants to play cricket": Here bat is using as baiting for playing cricket. Brawn sounds like Brown. We all know that brown people has more physical strength(brawn) than white. Brawn sounds like prawn(fish). Want to be a brawn, eat the prawns. So always try to remember Brawn, Prawn. Brisk is a type of cold drink which provides quick energy. Brisk looks like B and Risk here B for "Big" and Risk. Things, which are quick and energetic(brisk), can be Big risk. Always remember Brisk things Would be Big Risk just like a rocket. an action which becomes bigger and bigger until it reaches a peak. Crescendo looks like Krish, Sen do (Krish , Sen- a name): Krish and Sen do something with drums that results a tremendous crescendo of noise. Crevice looks like Cre + Vice and "Cre" for cricket and "vice" for vice captain, Cricket vice captain of India lives in crevice of rock. Culmination sounds like termination but termination is for down falling and culmination is for up moving. Cynosure sounds like Dinosaur, Dinosaur is the centre of attention in the park. Dulcet sounds like dual set. Dual set of sound box producing very sweet sound.